What type of interior door will compliment your home best? 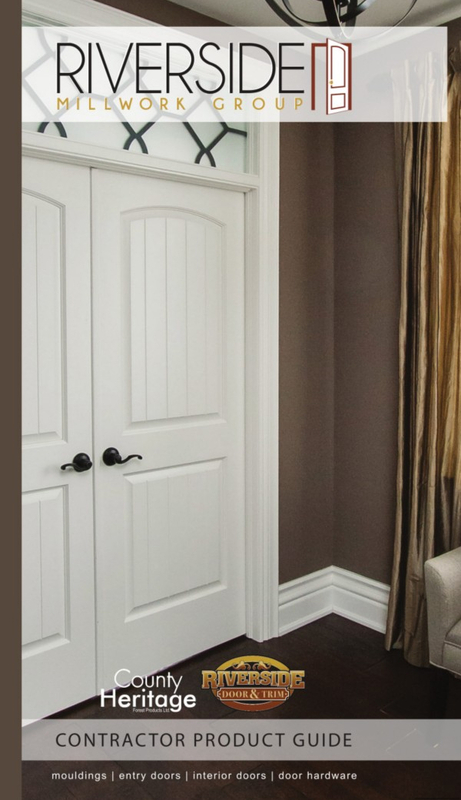 An interior door can really help to beautifully tie a room’s décor theme all together. And like any design project, choosing the right new interior door for your home will take some time. You’ll want to make sure you make the perfect choice that will seamlessly compliment your living space. With that said, below are some universal interior door styles to think about for your next installment. There are many styles of all-wood interior doors a homeowner might want to consider. For one, a rustic or decorative wood interior door can be the perfect complement to a traditional home. These doors feature beautiful designs that can be carved, divided or embellished to beautifully reflect your personality and create a sumptuously unique appeal. More commonly,interior wood doors can feature multiple panels or single panels in their design(the fewer the panels, the more modern they tend to look). A flush door, on the other hand, is crafted very simply from a single piece of wood – typically completely flat on both sides of the door. This type of wood door has a very modern appeal that is quite different from that of a rustic or decorative wood door. If you’re looking for a modern-style interior door that welcomes in a lot of light for your contemporary home, a glass door is a great route to go. There are actually many different styles of glass doors on the market. Glass doors can be made entirely of glass, and can also be coloured or stained for a more decorative appeal. On the other hand, a glazed or frosted glass door can be a perfect option if you’re looking to invite some more natural light into a room but still desire the privacy that a solid door creates. These doors also tend to give the home a more airy and spacious feel. A popular interior door choice, glass panel doors are combined with another material like metal or wood, designed with a traditional pattern of square panels. But possibilities go beyond just panels – and wood can be combined with clear,coloured or stained glass in any shape, pattern or design for a uniquely crafted interior door that makes a statement. 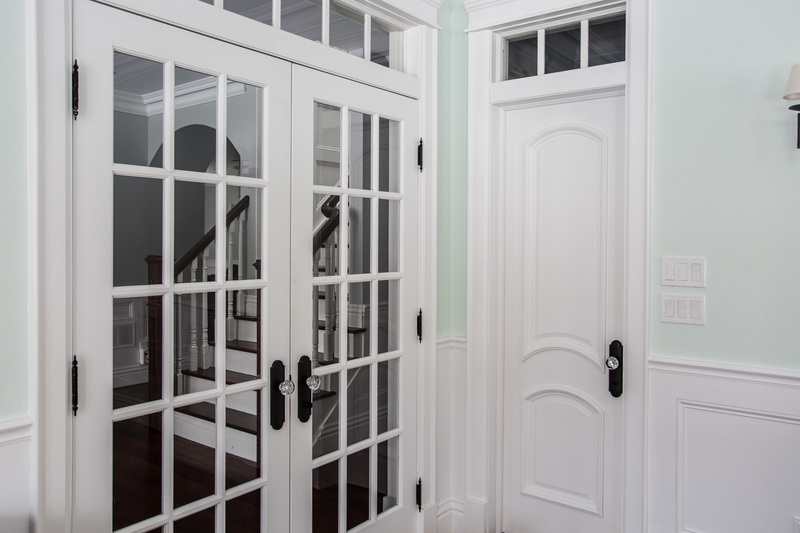 French doors, which are wood doors that regularly incorporate glass inserts or panels into their construction, consist of two doors that swing toward one another and are great for adding a beautiful and elegant touch to the home. Aside from these interior doors that swing open and close, if you’re looking for a modern interior door that functions a little differently, a sliding interior door can be a great choice. Folding/bi-folding doors are another option if you want to really open up part of a room, or create more space. Design and function go hand in hand! Let Riverside Millwork help you make the right decision. Choosing the perfect interior door style can certainly be a difficult decision to make for any home owner, but we’re here to help! 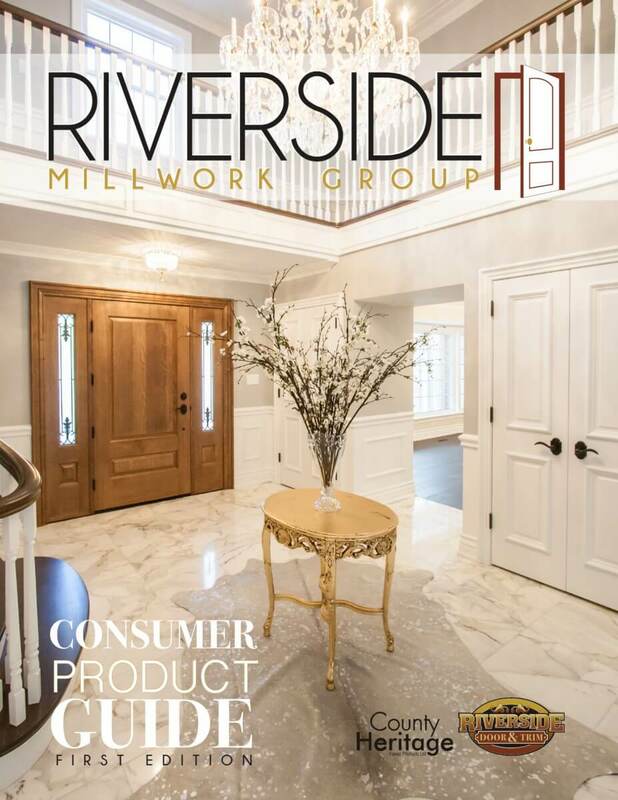 Riverside Millwork Group offers both standard and custom interior doors with sound reducing options to suit your living space and vision perfectly. Come visit us today at our Waterloo or London location… we’d love to see you!